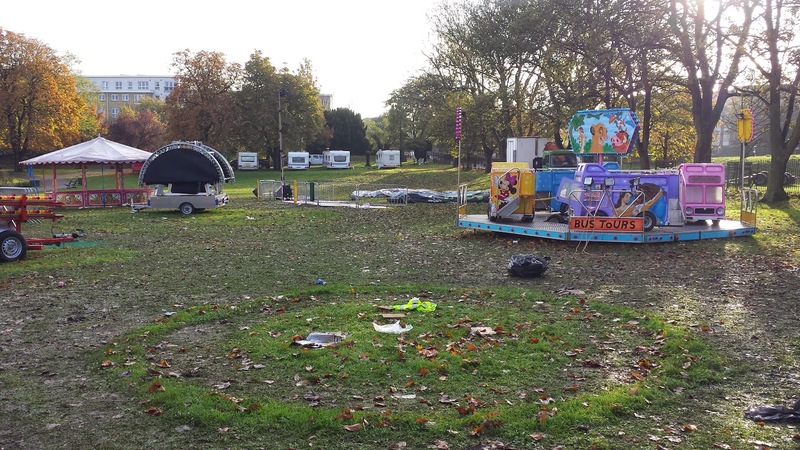 As I understand it the second Gravesend junior parkrun event was thrown into chaos when the team arrived at the Gravesend Riverside Leisure Area to find that the fun fair that had been in town had churned up the grass and left all sorts of obstructions around the course. Fortunately the team reacted quickly and found a suitable route for the keen youngsters to get their weekly 2 kilometre parkrun fix. 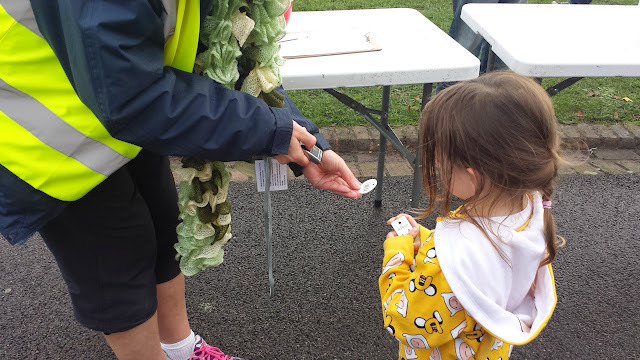 For a full account of this you can read the Gravesend parkrun news page for their account of the day. For the first time ever, the junior runner and her mum had gone to a parkrun without me. Where was I, then? Well, I had headed off to the Castle to Castle 5k (6.8k) Run in Chiddingstone for a little muddy adventure in the countryside. The eager parkrunner and her mum had taken the train over to Gravesend. It's a pretty straight forward journey and only takes about 15 minutes from Dartford. She has some proper running kit, but at the moment she is having a phase of picking out various random costumes for running - last week it was the pink tutu, and this week it was the Adventure Time onesie. So instead of running the normal two-lap course, the children ended up running the modified version which I'm told was roughly two-and-a-half laps using a slightly different route around the riverside leisure area. Matilda did get a little confused at having to take a different route, but after a prompt and a lot of pointing, she got herself back on track. 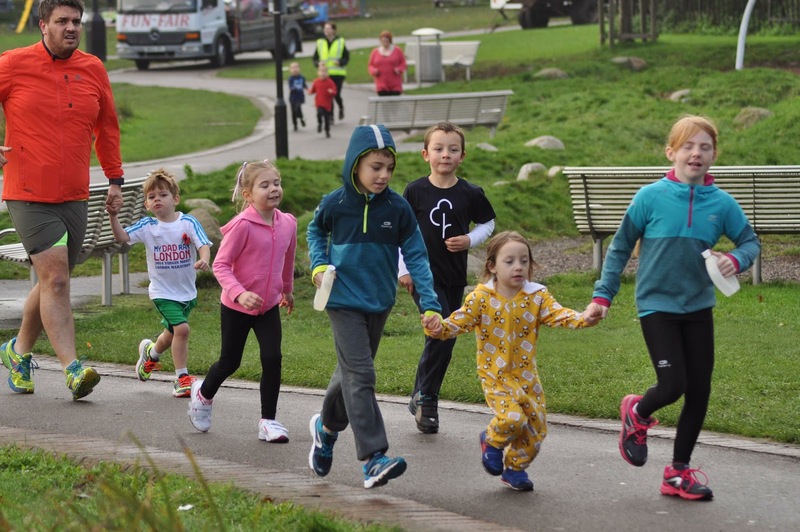 She always says that she loves to 'run with the other children', and this week she spent some of the run running with two of her SLGR team mates. I was still in Chiddingstone when her results text message came through and I was over the moon to see that she had run another 2 kilometre personal best, which now stands at 16.21 and her age grading has risen to 48.93%. This is a 50 second improvement over last week's time at the same venue. She had taken her brand new Australian parkrun barcode disc (barcode options) along this week, which she tells me is now her favourite! 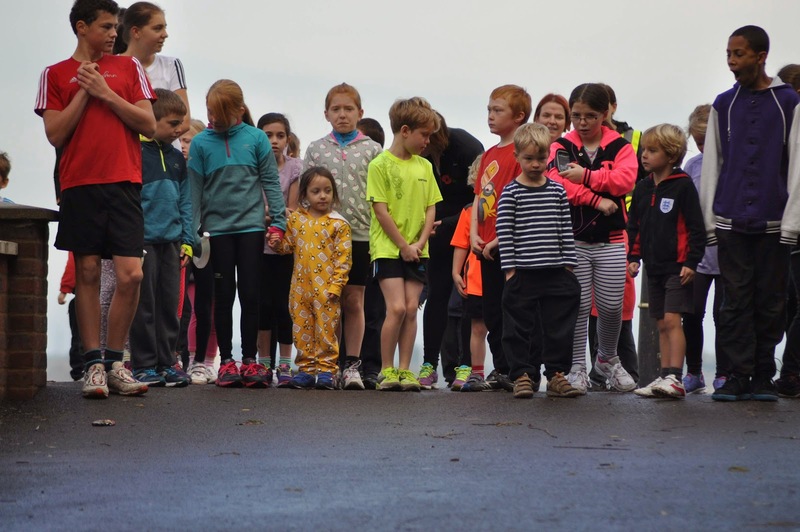 It was a great turnout as far as SLGR goes - This week there were five SLGR junior runners, which means that 17.24% of the runners were from our little friendly black and orange club. There were also two of our adult runners on the volunteer roster, so a really good showing all round! SLGR juniors are currently (November 2014) top of the club list at the venue (bear in kind that if you click on the link years from now it may have changed completely). 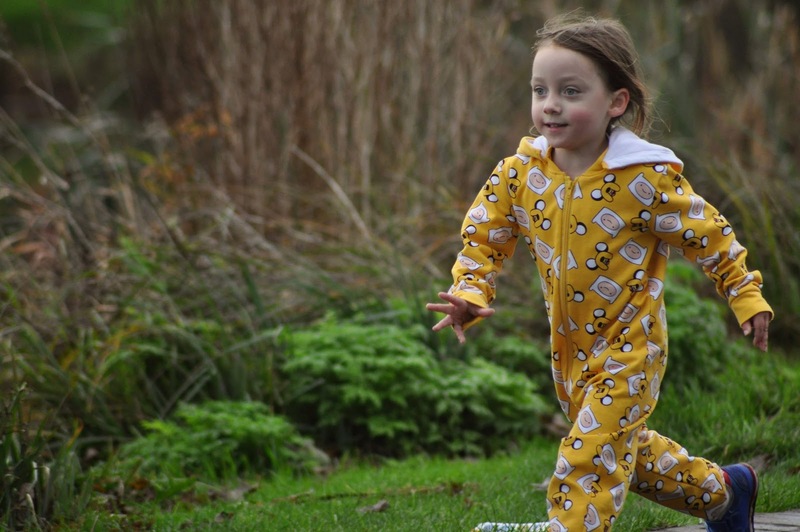 After reviewing the results in a little more detail, I saw that Matilda was the most experienced junior parkrunner on the day, which is a great achievement at the ripe old age of four years, 2 months and 22 days old. 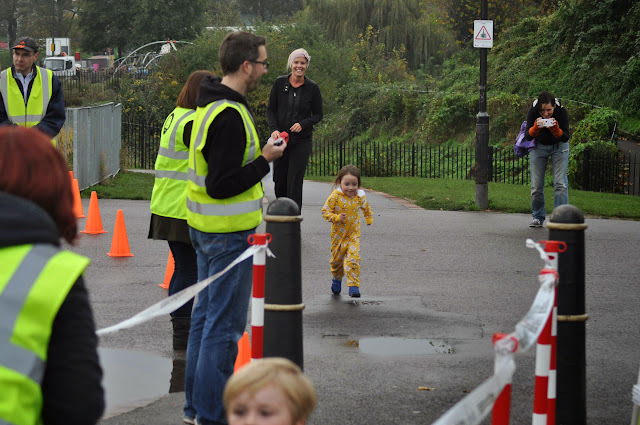 That was Gravesend junior parkrun event 2 as best as I can make out. Sadly her 100% attendance record will be broken next week when we head off to sample another venue. But, we will be back (again)!